BioAxone BioSciences, Inc. announced today the receipt of a Fast-Track grant from the National Institute of Neurological Disorders and Stroke, part of the National Institutes of Health, as part of the agency's Small Business Innovation Research Program. A life-changing event for a Los Angeles family has resulted in their funding an endowment to support The Kort Family Foundation Brain and Spinal Cord Tumor Research Program in the Division of Neurosurgery at Children's Hospital Los Angeles. 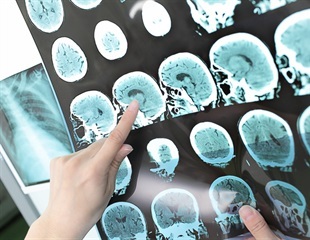 A drug treatment has been proven to prevent lesions from cerebral cavernous malformation — a brain blood vessel abnormality that can cause bleeding, epilepsy and stroke — for the first time in a new study. Couples considering undergoing assisted reproductive technology (ART) treatment should be informed about the increased risk of congenital malformation posed by the use of ART, the annual conference of the European Society of Human Genetics will hear today (Monday). Dr. G-raldine Viot, a clinical geneticist at the Maternit- Port Royal hospital, Paris, France, will say that she believed that most doctors working in ART clinics in France only told couples about such risks if they were asked specific questions. Researchers have found from a large scale study that in vitro fertilization of IVF is associated with an increased risk of birth defects in the baby. They urge doctors treating patients with infertility to routinely warn them about these risks. The study involved 33 centers for IVF in France and covered over 15,000 births from 2003 to 2007. This study is the largest till date. In a finding that could save thousands of lives a year, University of Utah School of Medicine researchers have shown that a blood vessel disorder leading to unpredictable, sometimes fatal, hemorrhagic strokes, seizures, paralysis or other problems is treatable with the same statin drugs that millions of people take to control high cholesterol.